When the two finally faced each other again, Masahiro Tanaka had too much for the younger Shohei Ohtani. 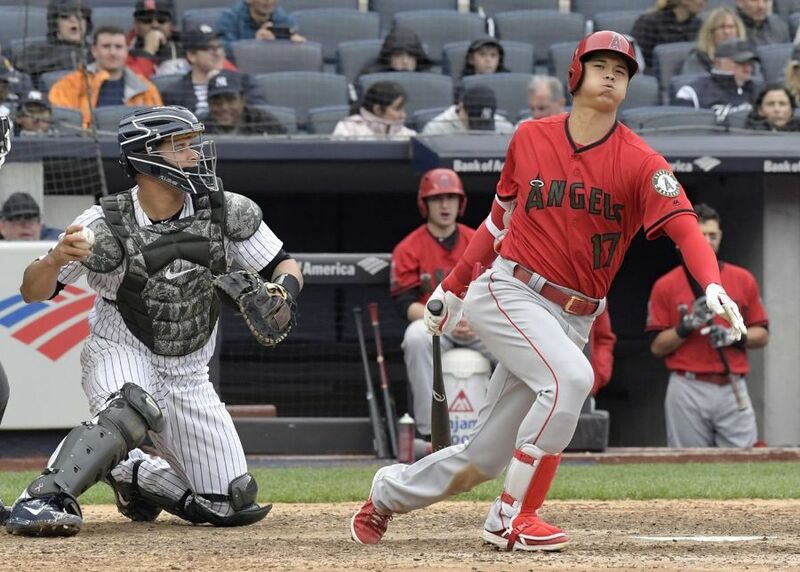 On Sunday, Tanaka allowed just three hits during six innings and struck out Ohtani twice helping lead the Yankees to a 3-1 win over the Los Angeles Angels. Although the Angels announced they had pushed back Ohtani’s next scheduled start for what they described as “workload management,” the older Tanaka kept his end of the much anticipated duel between the two stars from Japan, with a fine performance on the mound. Tanaka said the two were supposed to pitch against one another, but with Ohtani ending up facing him in the batter’s box true matchup may have actually taken place. Ohtani came up first against Tanaka during the first inning and struck out swinging. It was the first time Ohtani has faced Tanaka since 2013. The 29-year old Tanaka ended up getting the better of Ohtani as the 23-year old was 0-for2 with one walk against the right-hander for the Yankees. Ohtani is now 0-for-13 with two walks against Tanaka across all competitions. However, Tanaka was quick to say that Ohtani is not an easy hitter to get out because of how selective he is at the plate. Ohtani did not fare well in the Big Apple over the weekend ending his series with the Yankees at 0-for-9 with five Ks. The Yankees were led by three hits from Brett Gardner and have now won five of their six games this season against the Angels. Tanaka, with his splitter as his feature pitch, had eight strikeouts in the game and allowed just a home run during the sixth inning to Andrelton Simmons in his longest outing in close to one month. On Saturday, Angels’ star Mike Trout homered and hit three doubles in route to a five-hit game for the first time during his career. However, on Sunday he was 0-for-4. While Tanaka and Ohtani will not face off on the mound or at the plate against one another frequently, as the teams are on opposite sides of the country and do not play one another very often, the rivalry will continue especially if both players are having strong seasons as they both are early this season.